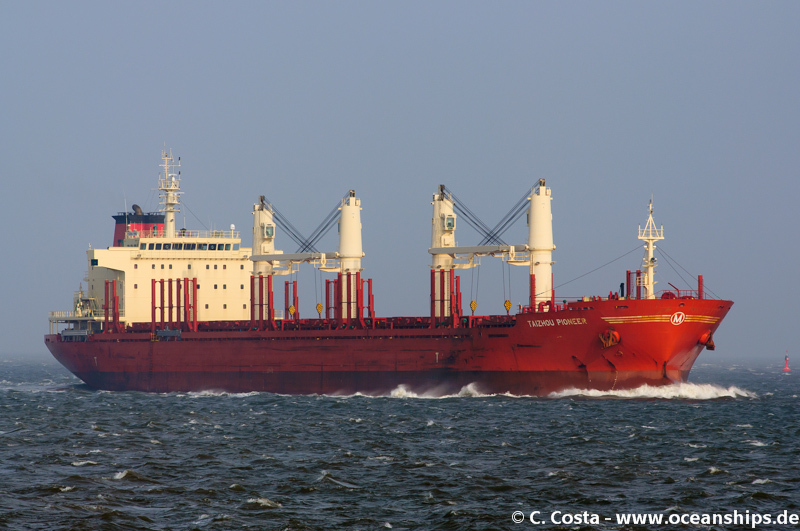 Bulk carrier Taizhou Pioneer is passing Cuxhaven on October 11th, 2013. 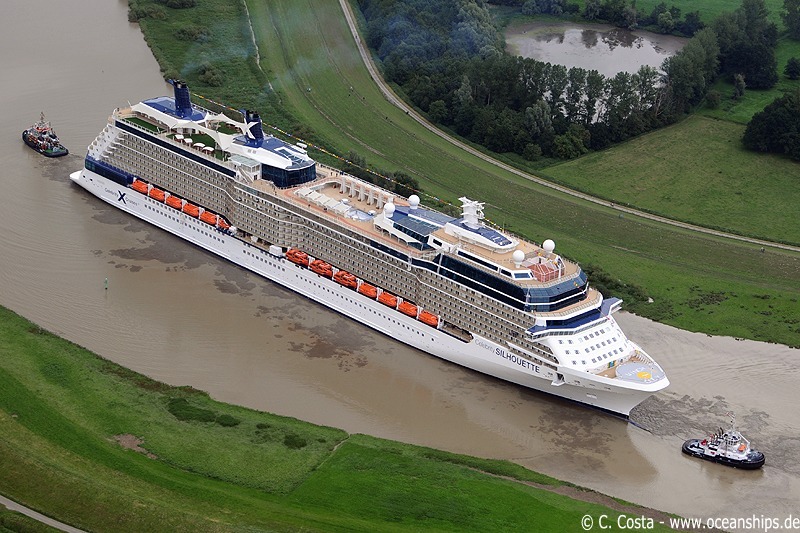 Meyerwerft’s latest newbuilding Celebrity Silhouette is transfered through the narrow river Ems from Meyerwerft, Papenburg to the North Sea on June 30th, 2011. 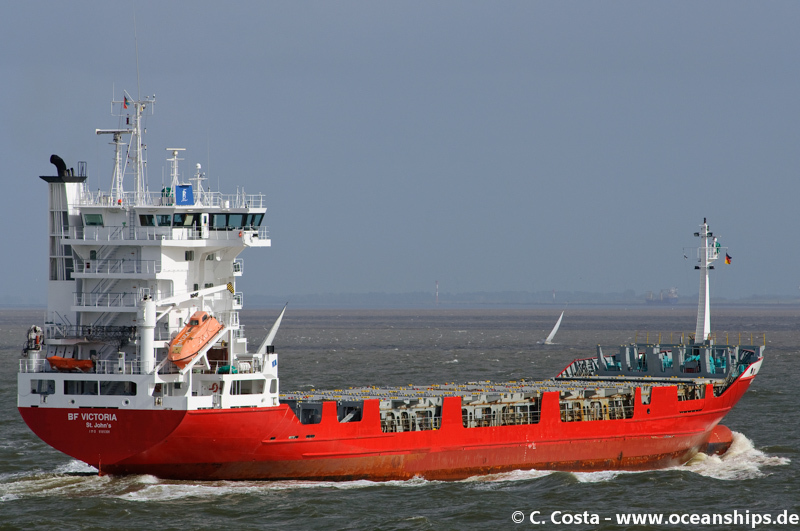 The vessel is assisted by two Bremerhaven based tug boats Bugsier 6 and Hunte. 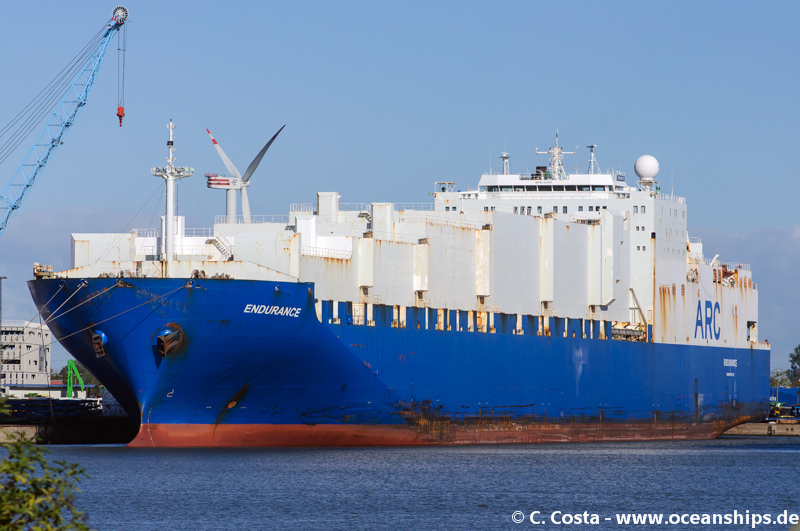 Final destination of the vessel is Eemshaven. 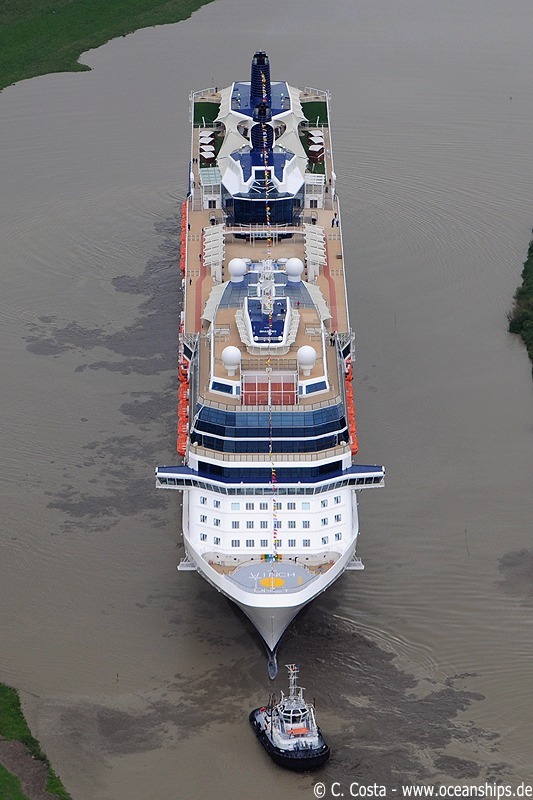 Lateron there are seatrials to follow before the vessel is scheduled to be handed over to the owner Celebrity Cruises in Hamburg. 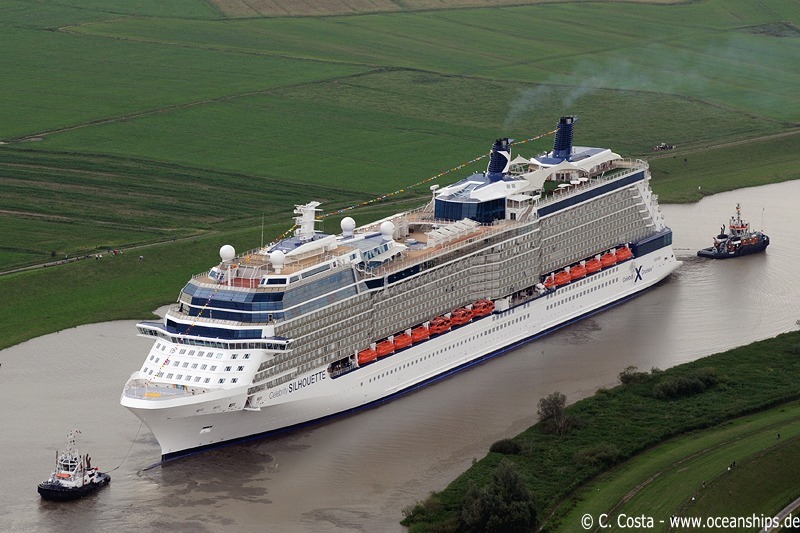 The christening ceremony in Hamburg is scheduled for July 21st, 2011. 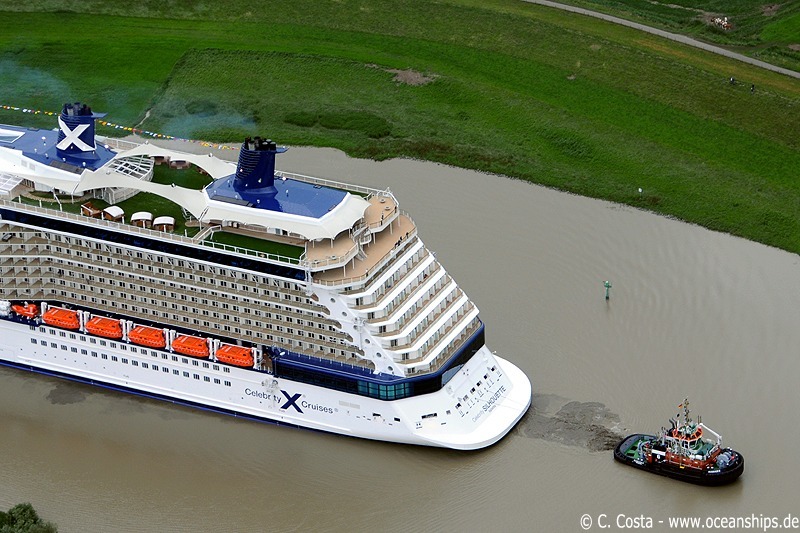 Feeder vessel BF Victoria is passing Cuxhaven on August 31st, 2013. 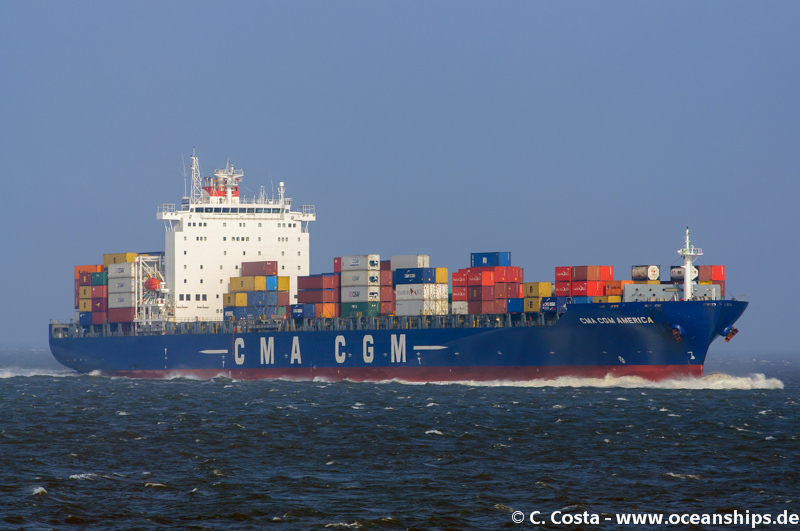 CMA CGM America is passing Cuxhaven on October 11th, 2013. 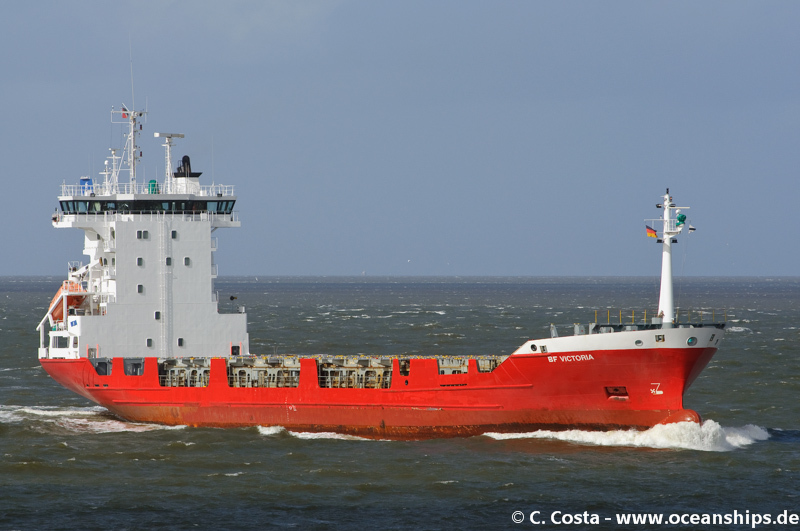 Ro/Ro vessel Endurance is moored in Bremerhaven on October 10th, 2013. 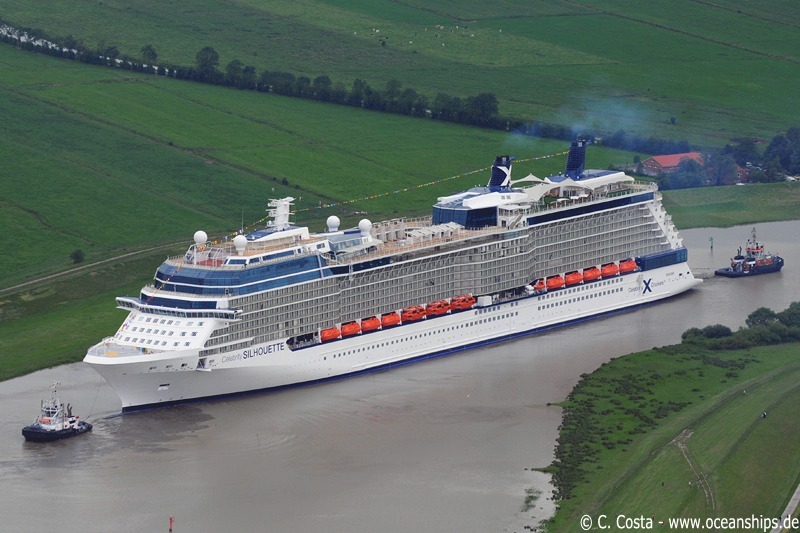 Düsseldorf Express is passing Cuxhaven on October 11th, 2013. 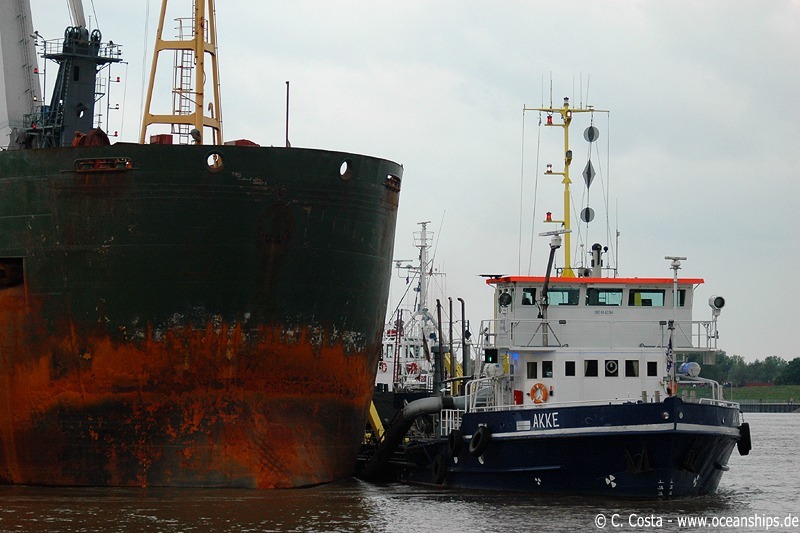 Thanks to my colleague Thomas Rutka, I am able to present a picture of the grounded vessel taken in the early hours of September 25th, 2009 when the vessel was left by only one tug boat since the first try to pull the vessel of the ground failed with the morning tide. 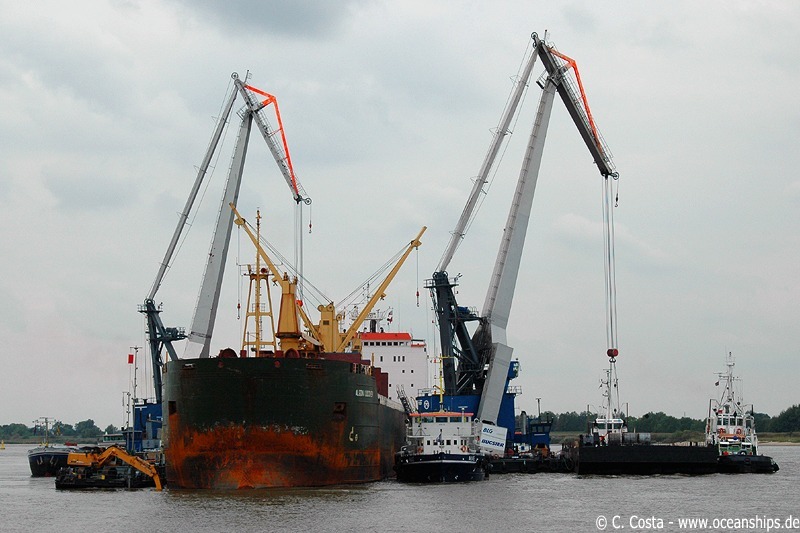 Here you can see how the barge is loaded by the floating crane. 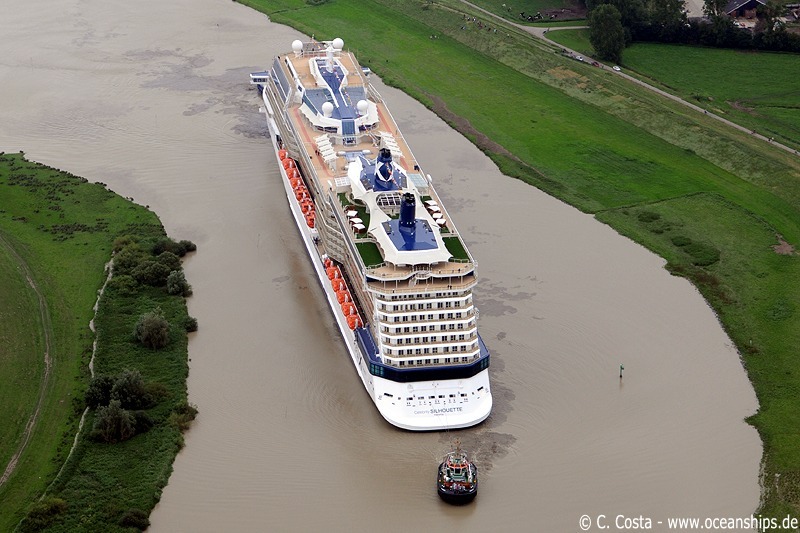 As you can see the whole process is assisted and controlled by tug boats since the river Weser was not closed at this time. 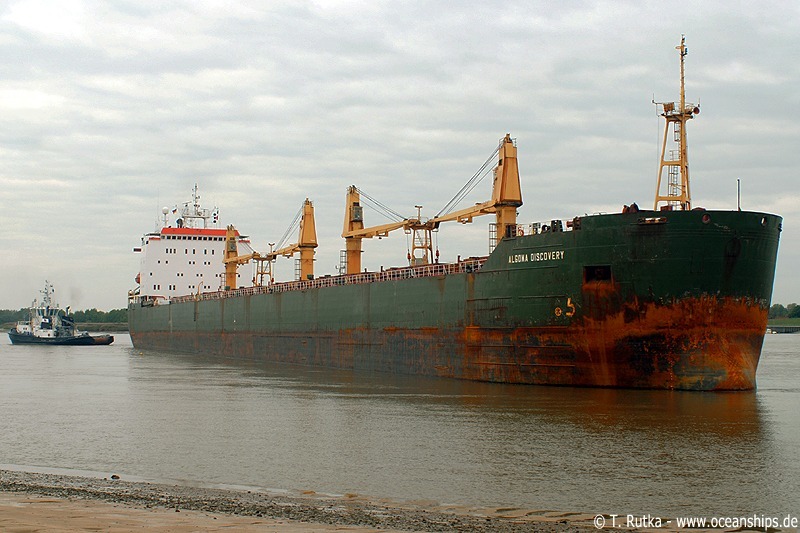 Also the anti pollution vessel Luneplate (located on the portside of the vessel) is pumping ballast water as well as bunker out of the vessel in order to lighten it. 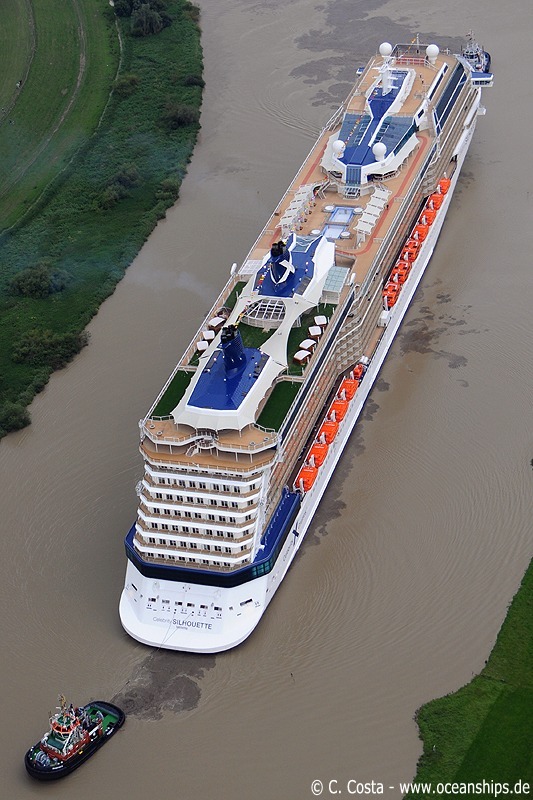 Around noon two floating cranes started to lighten the vessel by more than 8,000 tons. 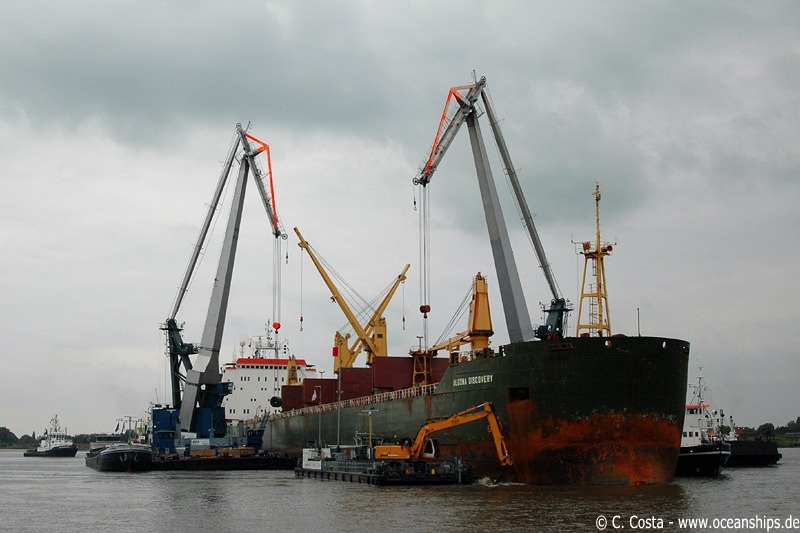 Both cranes had to discharge each coil one by one into barges. 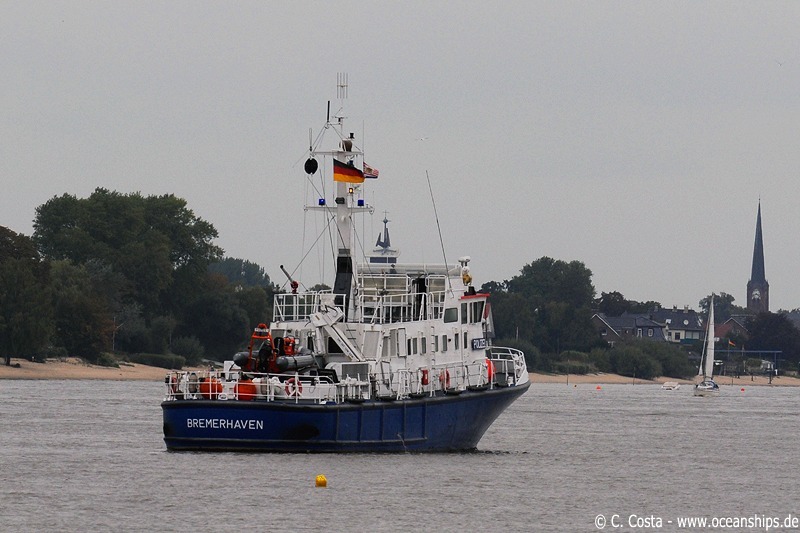 For security reasons the police vessel Bremen 12 secured the Southern end of the scene…. 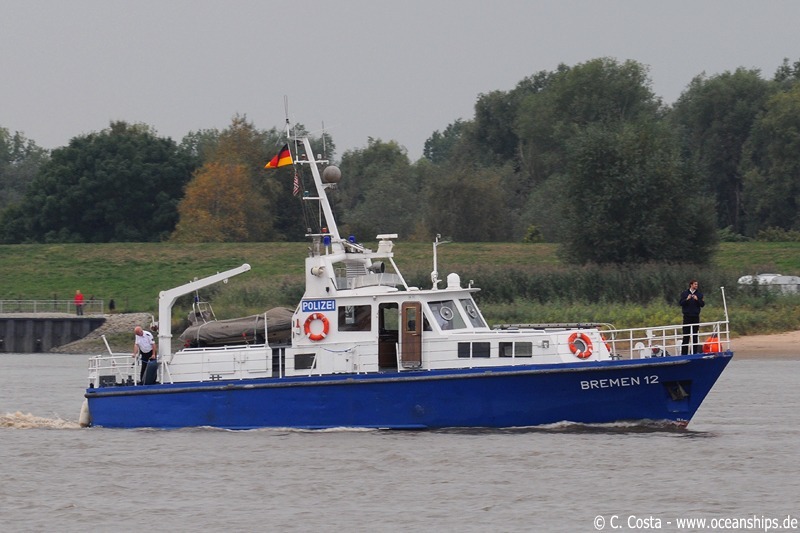 ….and at the Northern side Bremen 3 was patrolling. 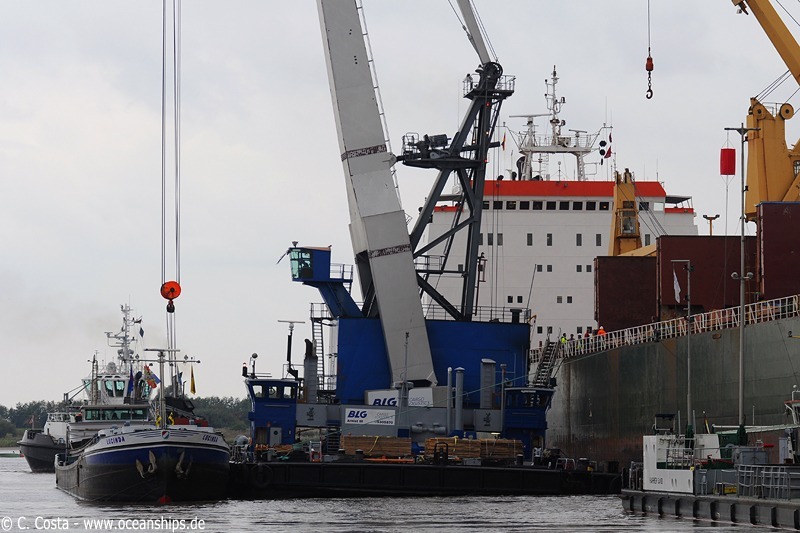 In order to speed up the refloating of the vessel flushing vessel Akke is washing as much sand away from the keel as possible. The same thing but just a little bit different is done at the vessels starbord side. Here the Harrier Sand is dredging sand off the vessel’s keel. 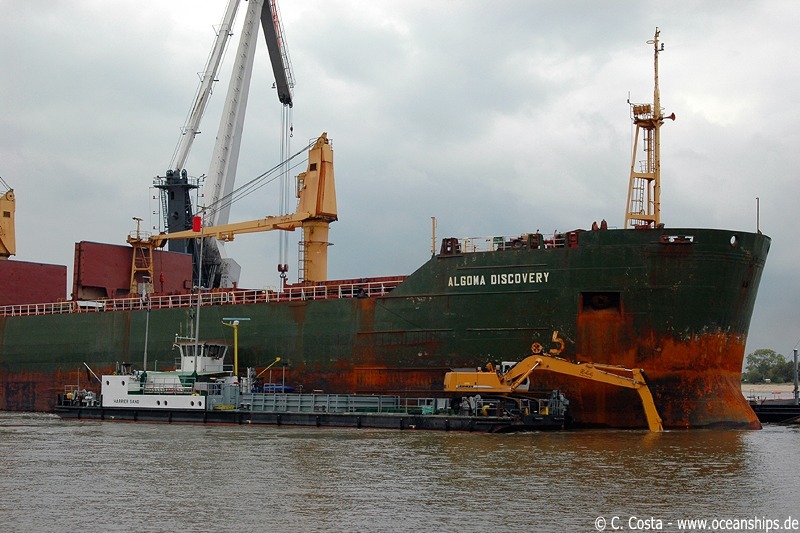 Algoma Discovery in better days. 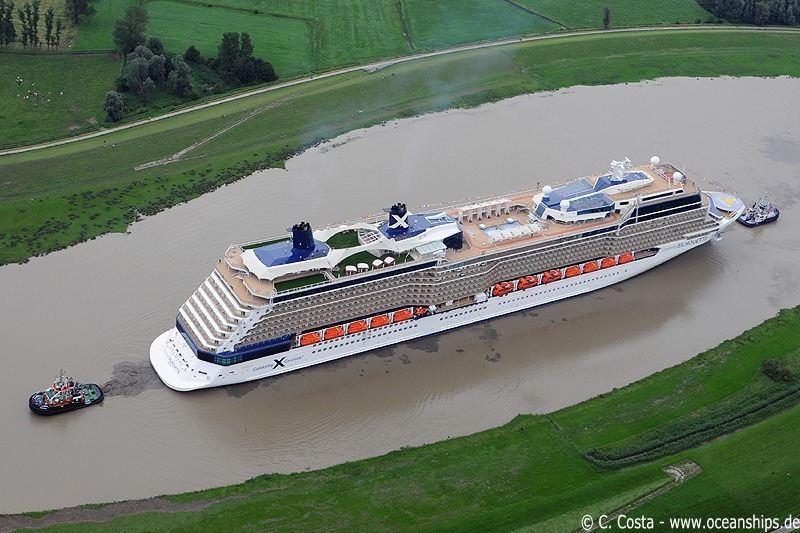 Here the vessel is moored on May 14th, 2009 at Weserports, Bremen. 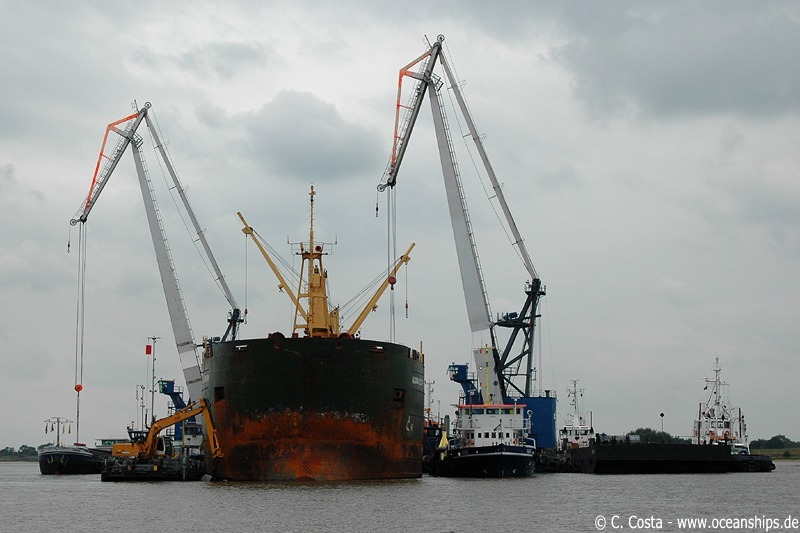 Back in May she was loading steel coils for Ravenna as well. 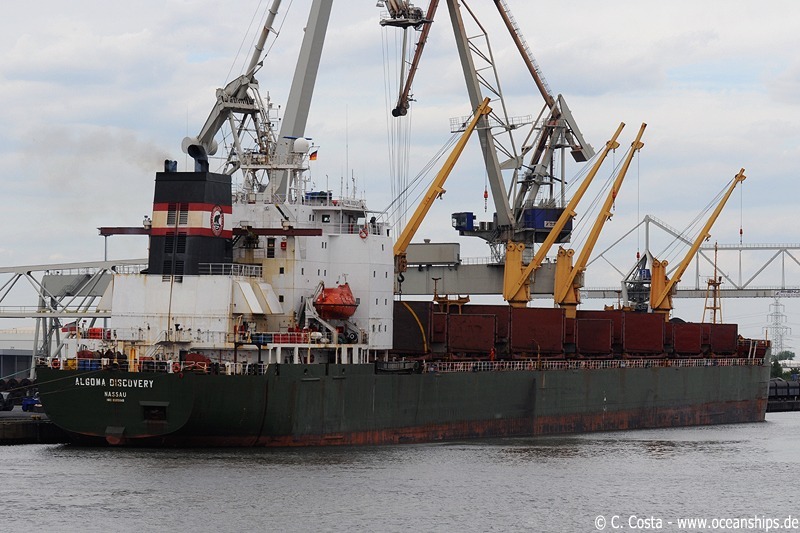 Bulk carrier Algoma Discovery grounded at Harriersand in the river Weser on September 24th, 2009 around 1930 hrs. 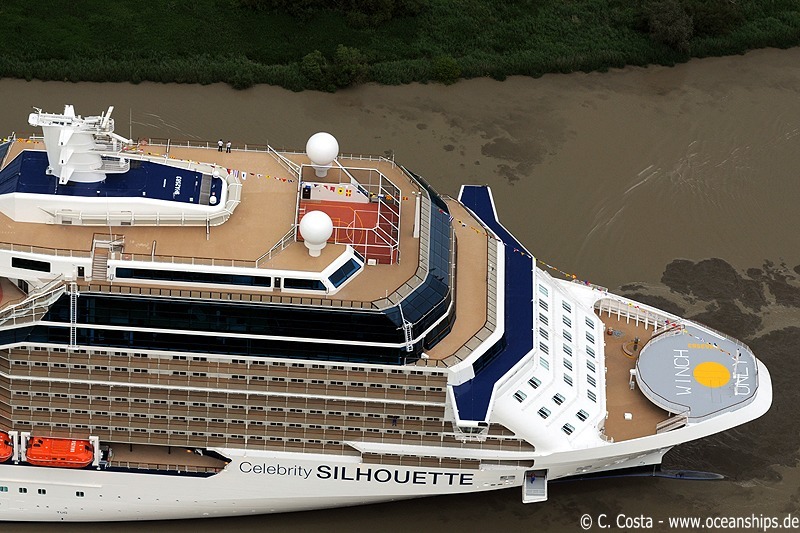 The vessel was loaded with approximately 27,000 tons of steel coils. 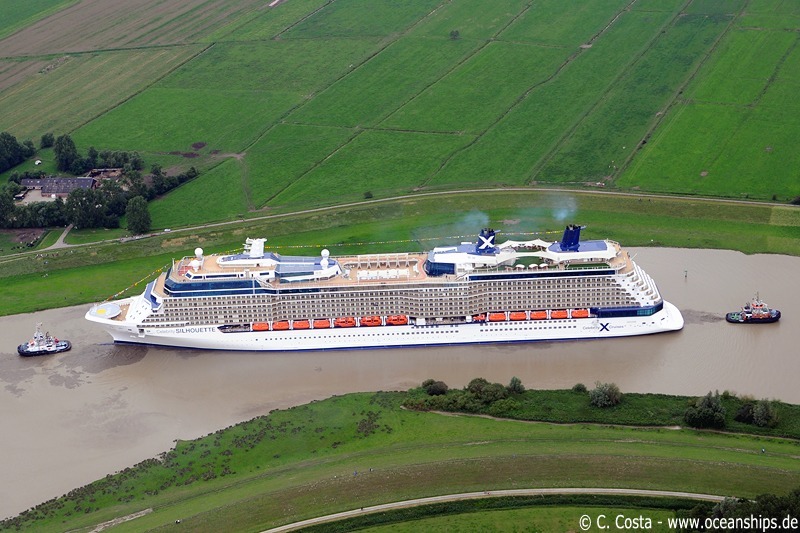 She was on a voyage from Bremen to Ravenna, Italy. According to local news she grounded due to a technical failure with the engine. 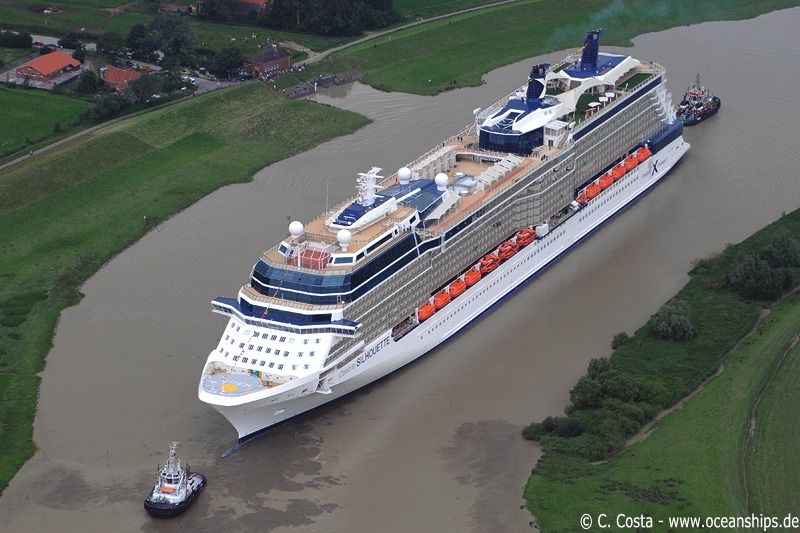 On September 26th, 2009 around 1830 hrs the vessel was pulled off the ground with the help of 9 tug vessels and the tide. 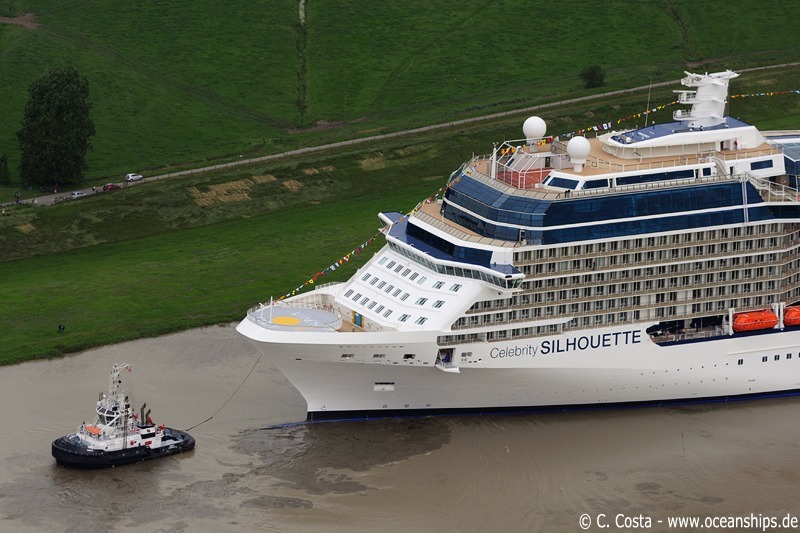 It has been maneuvered with tug assistance to the port of Brake where further inspections need to be done. 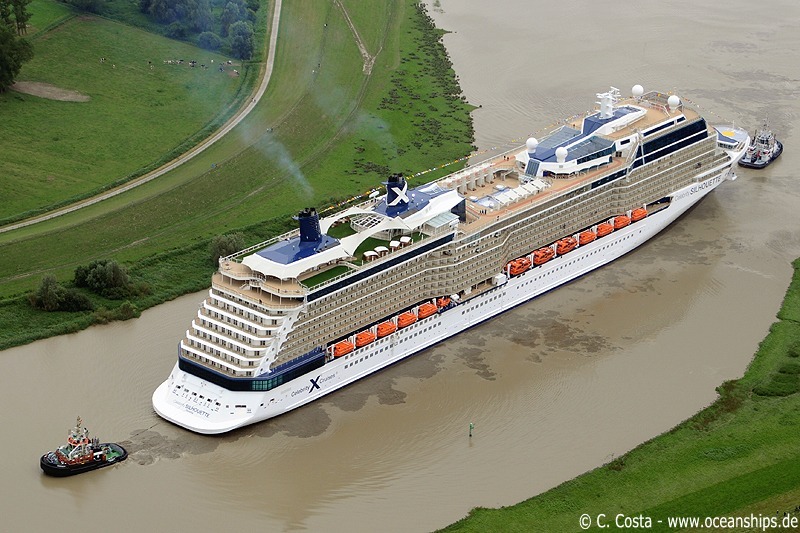 On this website I would like to show you different kinds of ocean going vessel pictures. Most of the pictures were taken in Northern Germany but some others also in the Netherlands, Belgium or Turkey. 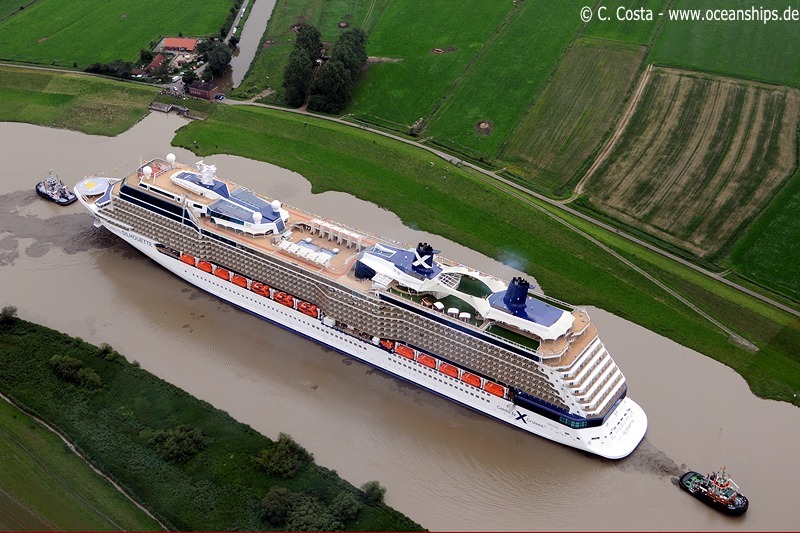 All pictures are published in a resolution of maximum 800 px in width or height for a faster navigation. But of course if you are interested in pictures with a higher resolution do not hesitate to contact me since almost all pictures are available in bigger size.